In 1873 a proper place was found for the School’s growing collection of books in the Big Study, which was earlier known as the New Schoolhouse. The Reverend Hall Harrison, a teacher of Greek and English at St. Paul’s School, was entrusted with its care. Buttressed by the generous help and gifts of friends of the School, Harrison set about enthusiastically organizing the library so as “to make it an effective agency in the literary culture of the boys.” Within a year Harrison inspired the founding of the Library Association under the motto: Non scholae, sed vitae – vitae utrique (Not for the School, but for life—for each life). Many of the Association’s early records are now preserved in the St. Paul’s School Archives which is located in the lower level of Ohrstrom Library. In 1888, when the Big Study was enlarged, the library moved to the upper floor of the expansion in Room #2 of the Big Study Annex. This new location had space for 12,000 volumes and seating for twice the number of students as in the original location. 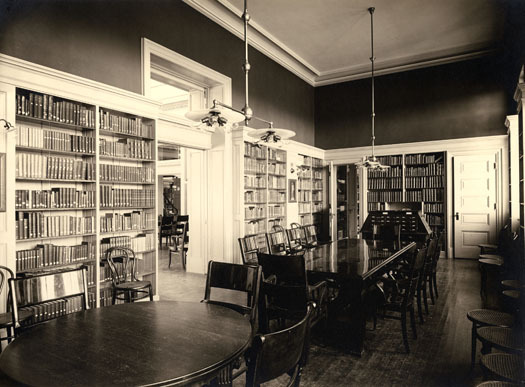 It was described as “admirably lighted and the ventilation excellent.” Charles S. Knox became the second librarian, and he is credited with the creation of a fine reference collection. 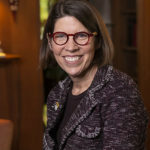 He was also the first to gather together all the books relating to Shakespeare onto special shelves, a practice still reflected today in Ohrstrom Library’s Shakespeare Room located on the upper level. In Memorials of St. Paul’s School, Joseph Howland Coit writes that from the very beginning the library “was intended not only to furnish entertainment, but also to form and cultivate good taste in reading and to aid special studies and inquiries.” Coit also describes the “Sunday Library” which included books of fiction, biographies, records of mission work, travels, and histories. Coit also expressed the hope in his memorials that “Perhaps before long it will come into the heart of some alumnus or other friend to build an ample fire-proof house, with rooms for all the collections belonging to the School.” This hope became reality with the building of Sheldon Library in 1901, provided by the generous donation of the Sheldon family in memory of St. Paul’s School Trustee William C. Sheldon. In the move from Sheldon Library to Ohrstrom Library much more was transferred than a valuable collection of books. 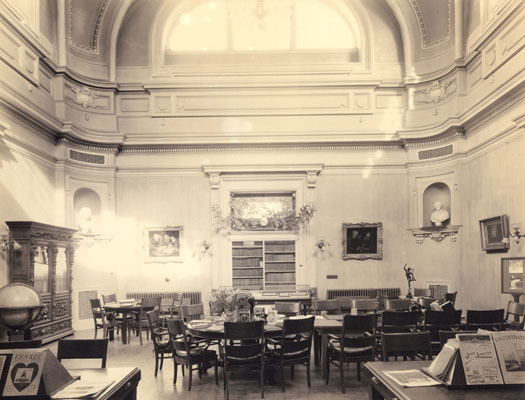 Accordingly, this online exhibit features images of the School’s earliest libraries and celebrates a tradition of enthusiasm and support for libraries at St. Paul’s School that has continued uninterrupted from its beginning in 1873 to the present time. Click on the thumbnails above or the titles below to access the individual catalog pages. 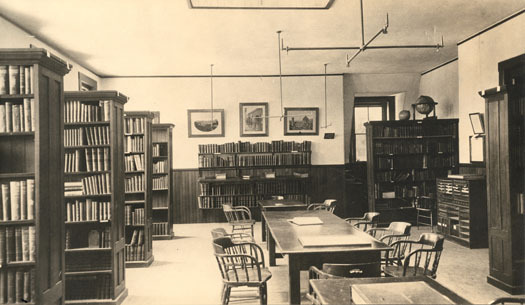 This photo shows the original library at St. Paul’s School, located in the Big Study. Mr. Harrison secured a large new classroom for the library, had open shelves built in it, made a campaign for the purchase and gifts of many new books, and saw that the tables in the middle of the room were supplied with illustrated papers and magazines. Under his enthusiastic and energetic administration the interest of the boys in the library and in reading increased enormously. 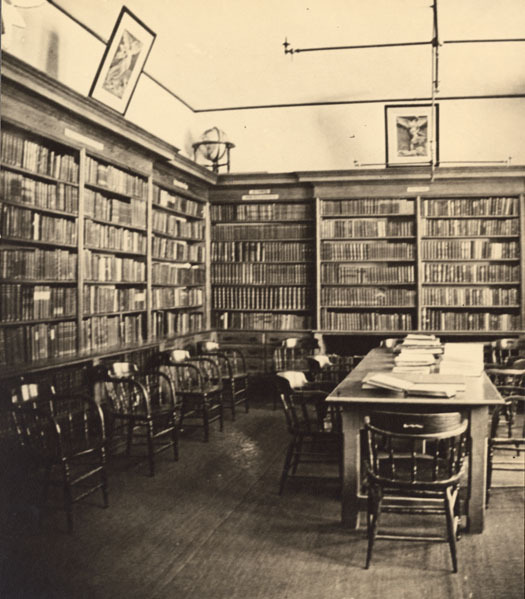 In 1888 the library moved from its original location in the Big Study into the upper floor of the addition built on the back of the same building, called the Big Study Annex. In this photo W. J. Price is shown sitting at the central table. 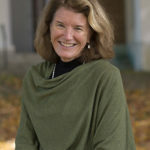 Price was a member of the Form of 1889, and taught English at St. Paul’s from 1893-96. 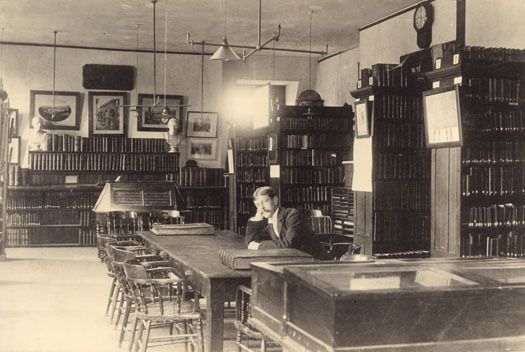 This photo was taken some time after 1888 when the library was located on the upper floor of the Big Study Annex. 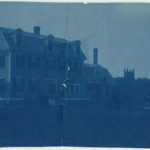 At this time the Big Study was called the New School-House, and the Big Study Annex was called the First Annex. 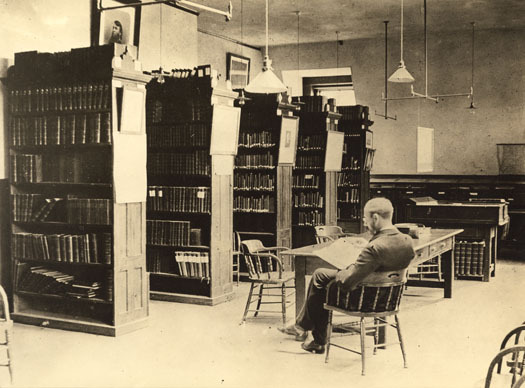 This photo was taken some time after 1888 when the library was located on the upper floor of the Big Study Annex. Shown seated is Mr. Spanhoofd who came to St. Paul’s in 1880 to teach German. 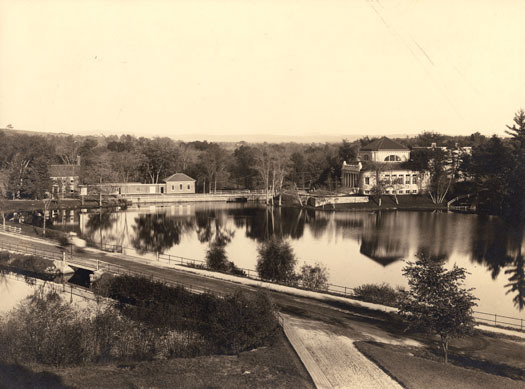 This photo, taken sometime between 1901 and 1906, shows the view of the newly constructed Sheldon Library across Library Pond. To the left is the Boy’s Workshop (previously the Old Laboratory) attached to the Dynamo House, which were both torn down in 1928 to make room to build Hargate. Sheldon Library, begun in 1900 and dedicated on June 6, 1901, was the gift of the children of William C. Sheldon, a Trustee from 1877 to 1896. Designed by the architect Ernest Flagg, it was built on the site of the original Miller’s Cottage. 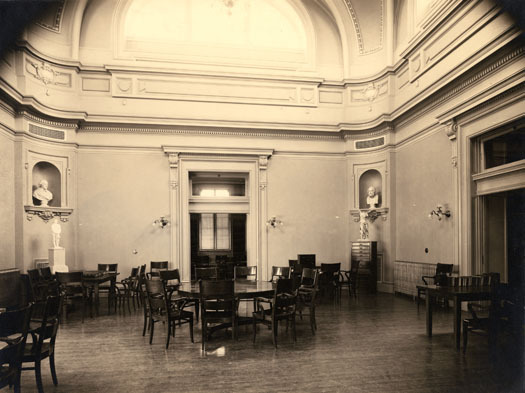 The interior layout featured a central chamber with a high ceiling that functioned as the main reading room, with reading rooms on either side. The stacks were located in the rear of the building. Niches in the main reading room displayed busts of classic authors, and the walls were decorated with an assortment of paintings. Sheldon served at the School’s library from 1901 until the building of Ohrstrom Library was completed in 1991. In the back of this reading room the original library card catalog, shown in this picture of the Big Study Annex, is still being employed. Close examination of this photo suggests, contrary to the inscription, that it was actually taken sometime after February, 1937, based on the date on the cover of the Yankee magazine in the lower left corner. The cabinet seen on the left of the photo is currently displayed on the second floor of the Schoolhouse. 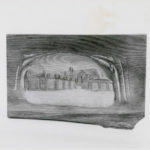 This photo taken sometime around 1920 provides a good example of the artwork displayed at Sheldon during that time. A number of small sculptural figures were displayed on study tables and in the niches and portraits of prominent figures associated with St. Paul’s adorned the walls. 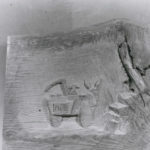 This photo was taken sometime around 1910. 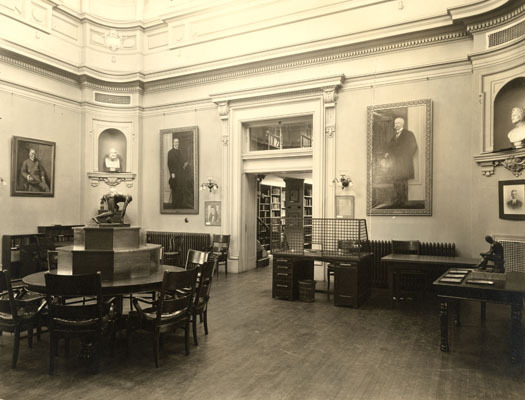 A model of the Bela Pratt’s Spanish-American War memorial sculpture is on display, shown on the left of the reading room. 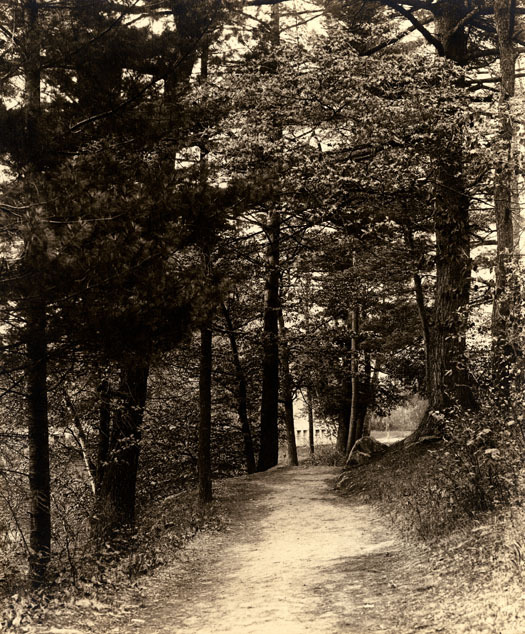 This photo was taken on the path that winds around Library Pond and leads to Sheldon Library. Architect Ernest Flagg was a student of the École des Beaux-Arts in Paris and designed Sheldon Library in the Beaux-Arts style. This photograph shows some of the details of this heavily neoclassically influenced architectural style, with a grandly designed columned staircase dominating the entrance. Sculptural details like the globes that top the corners of the building and the garland draped carved elements on either side of the stairway are typical of the Beaux-Arts style that was popular in the United States from the 1880s to the 1920s. The memorial itself, a bronze statue by Bela Pratt, showed a soldier at ease but tense, committed but with an air of youthful insouciance. It seemed the perfect tribute, and typified the attitude toward war of that innocent generations. 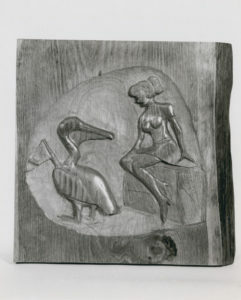 Bela Lyon Pratt was a celebrated sculptor with a number of impressive commissions (for the World’s Columbian Exhibition and the Library of Congress, among others) completed prior to creating this piece for St. Paul’s. 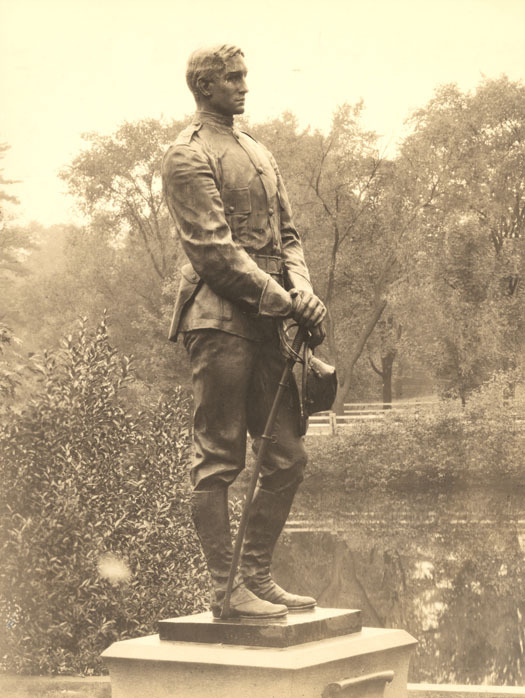 A former student of Augustus Saint-Gaudens, whom he counted at his mentor, Pratt was commissioned by St. Paul’s School to create a bust of Dr. Henry Augustus Coit in 1897 before creating this memorial in 1906 titled Young Soldier. 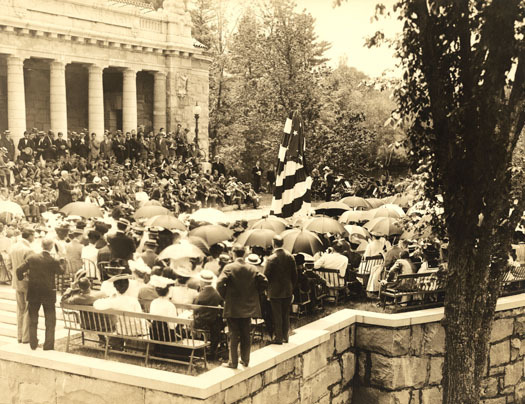 This picture was taken on June 6, 1906, during the dedication of the memorial of the Spanish-American War. The sculpture is shown draped in the American flag just prior to the unveiling, which was held as part of the School’s Fiftieth Anniversary celebration. 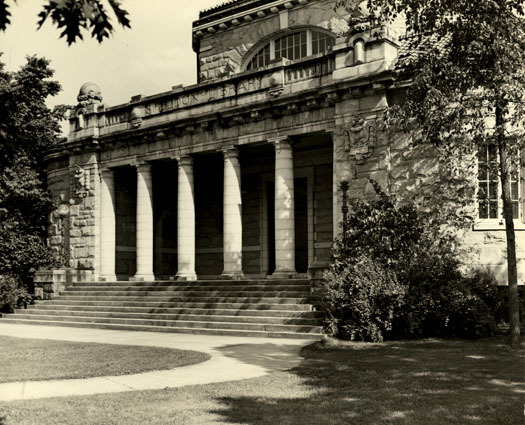 The granite-walled terrace of the library became, a few years after its completion, the setting for a memorial to the St. Paul’s men who fought in the Spanish-American War. This war (1897-1898) roused Millville to a high pitch of patriotic fervor and struck a responsive chord among St. Paul’s alumni wherever they were. It was a St. Paul’s graduate, Hamilton Fish, Jr., [Form of 1890] serving under Colonel Theodore Roosevelt, who became the first American to be killed in action. . . Later Roosevelt visited the school at Anniversary and expressed in person his admiration for the six St. Paul’s graduates who had served in his regiment.